Built and launched by the F.W. 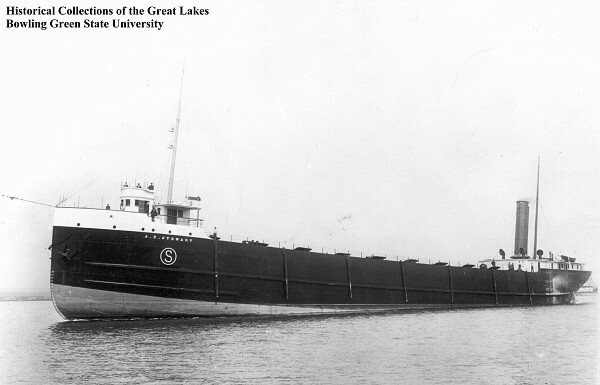 Wheeler company of Michigan in 1902, the Glenorchy was a steam propelled bulk cargo carrier with a length of 350 feet, a beam of 49 feet and a gross weight of 3943 gross tons. She saw faithful service under four owners, three from the United States and one from Canada during her career spanning just over two decades. She met her fate in 1924 in a collision with the Leonard Miller just six miles from Harbor Beach. Nowadays, she still serves as an attraction for divers as she rests at the bottom, upside down in 110 feet of water. She is a great wreck for the intermediate to advanced diver to explore and can be extensively penetrated for those who are trained and equipped. We visit the Glenorchy from Harbor Beach on the Go-Between.